Extend your visit and stay with us in our adjoining holiday accomodation. The beautiful holiday flat is situated above the Rockshop in the centre of Ambleside. Positioned next to Stockghyll Beck, the mountain stream which flows through the village. The shop was newly built, opened in 1996 and won an award for it's design. The shops, resuarants, cinema and pubs are all just a stone's throw away. Here are details of how to find us. 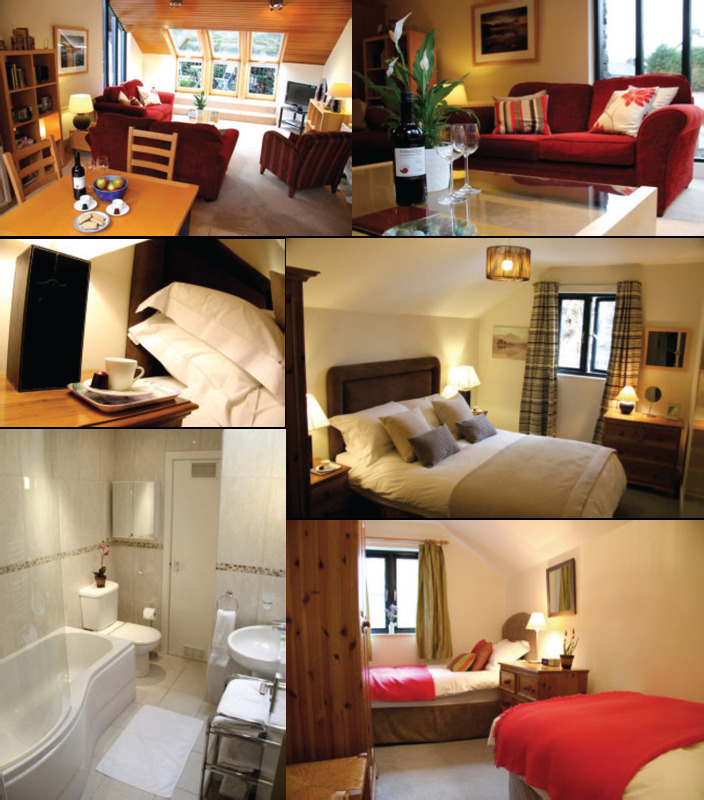 Furnished to a very high standard, the flat sleeps 4 people in 2 bedrooms, a double and a twin. The living area consists of a comfortable sitting area with dining kitchen at one end. The kitchen is fully equipped with a dishwasher, fridge freezer, double oven, microwave, Nespresso coffee machine and there is a washing machine and tumble drier available for use on site. The living room opens out onto a first floor balcony, on which you can sit and enjoy the sounds of the beck. There is a widescreen TV and DVD player, a CD Hi-Fi with a CD library and an iPod docking station. We also have a selection of books and board games, just in case it rains! For sunnier days there is a small outdoor patio area with charcoal barbecue beside the beck. The flat is managed by our Rockshop staff who are on hand should you require any help during your stay. As the flat is accessed by a staircase to the first floor and has a first floor balcony we do not recommend the flat to families with children under the age of 5. Smoking is not allowed and we are sorry but pets are not accepted. There is parking for one car to the side of the property. The Rockshop flat is available to let throughout the year for half weeks (commencing Friday to Monday or Monday to Friday) or for full weeks commencing on either Friday or Monday.